Slots players that have been to Vegas, Atlantic City and other casinos with big slots parlors will have come across Queen of the Nile. 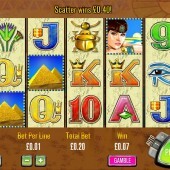 It is one of the original free spins slots and the inspiration for the mega popular Cleopatra slot from IGT. Australian slots developer Aristrocrat have used the format for Queen of the Nile on many of their slots, which is both simple and effective. Queen of the Nile is a low variance slot by slot developer Aristocrat, meaning that you will get wins more often, but they will typically be small to medium in size. Hitting a huge win on Queen of the Nile is very rare and you will be lucky to win 30x your stake after completing the bonus round. Personally, I'm not the biggest fan of low variance slots because I want the wins to be ones that you feel you have earned and not token gestures that reward you for simply playing the game. Each to their own though! 15 Free Spins and a 3x Multiplier to be Won! The free spins bonus round is triggered by getting 3 or more scatters on any of the 5 reels. This will give you 15 free spins at 3x multiplier, which has the ability to re-trigger. You will find that there are not long waits before getting through to a bonus round. Queen of the Nile has been the blueprint for many other video slots, but these days the game is looking a little dated. This could be said of many of the Aristocrat slots, which all have a very similar style, especially with sounds. 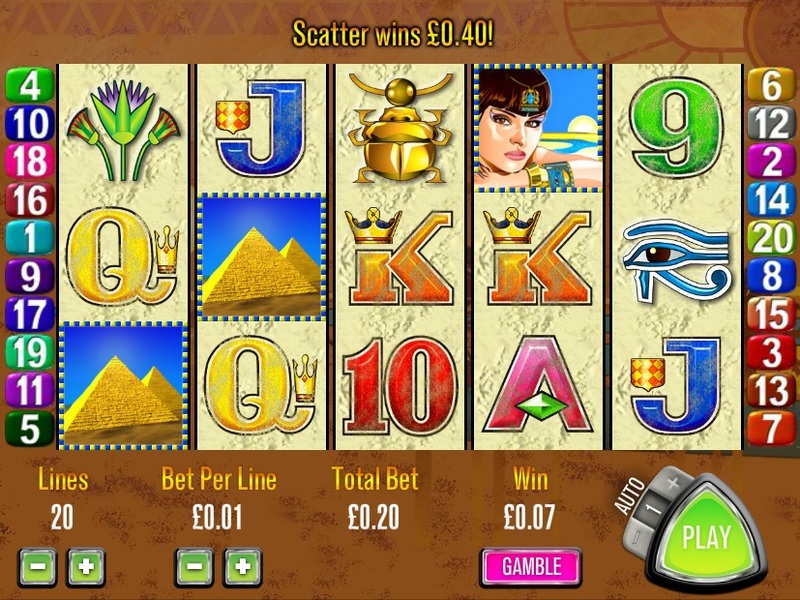 They must be popular with players though, as Aristocrat have released Queen of the Nile slot online, as well as some of their other popular titles including the enjoyable 5 Dragons slot, the oriental-themed Choy Sun Doa and the superb More Chilli.